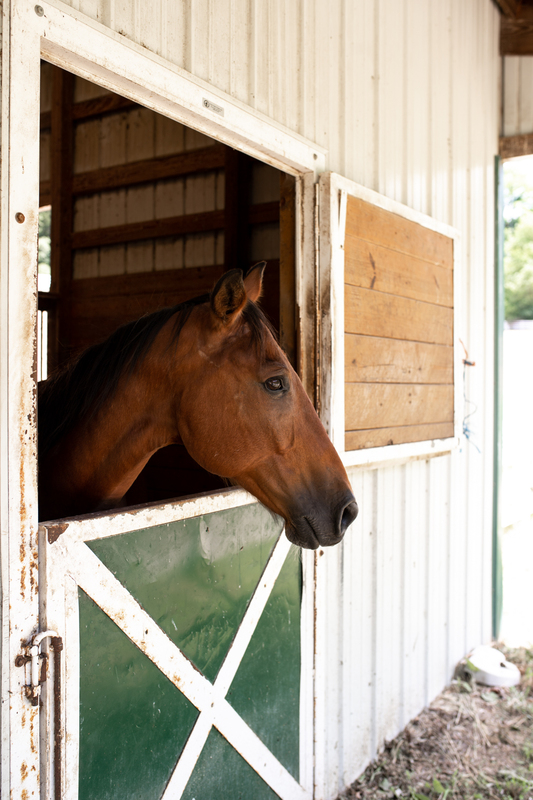 Ever since Instagram Stories (and highlights) rolled out and enabled me to share lots of small moments from our trips in real time, I’ve often felt like doing a blog post is redundant. 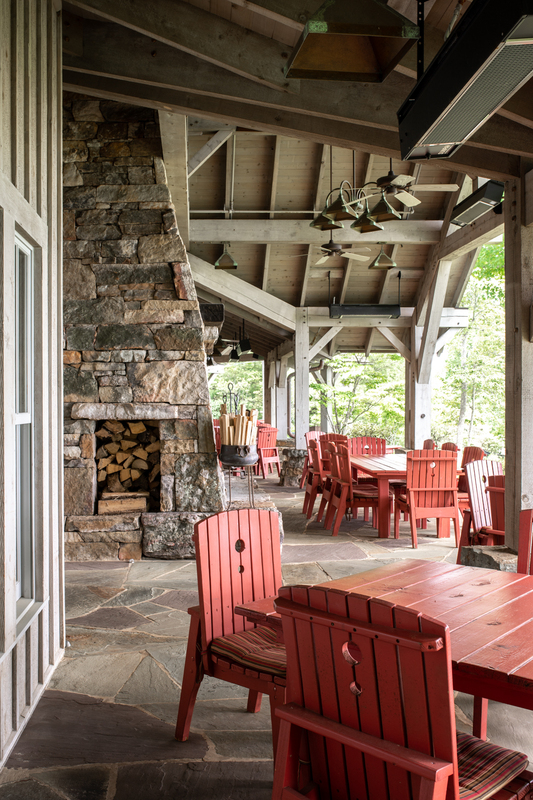 However, several conversations with readers over the last week have reaffirmed the importance of blog posts as an evergreen resource for planning travel so I’m going to be sharing content that you may have seen in stories before, but deserve a new life here on the blog. 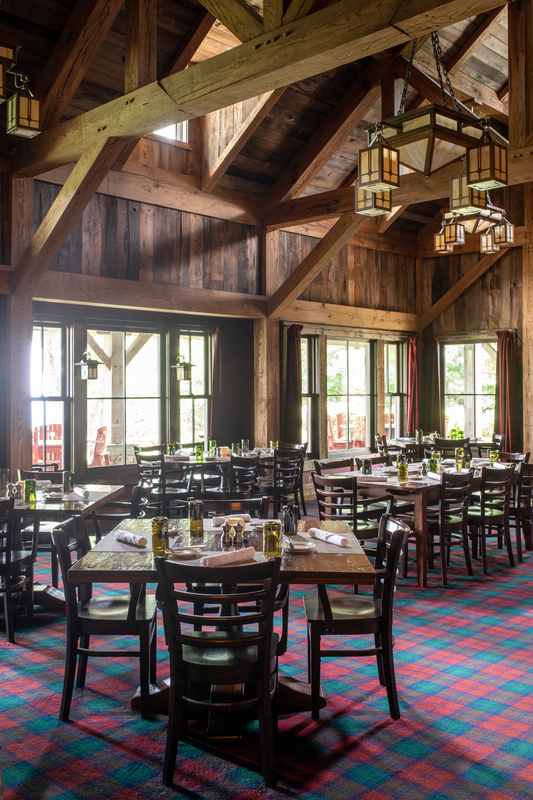 One conversation specifically asked for my thoughts on The Greenbrier in West Virginia. David and I visited on our 3 month road trip around the United States last year on our way from South Carolina to DC. 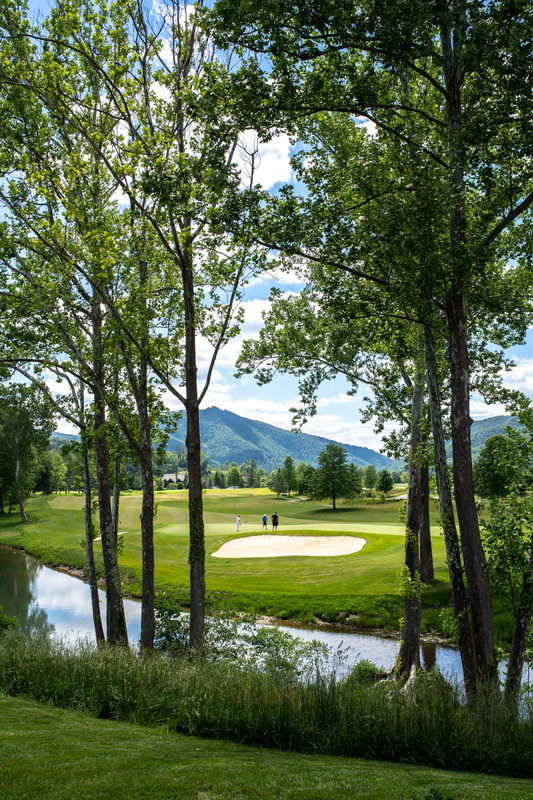 White Sulpher Springs, West Virginia is nestled in a beautiful curve of the Allegheny Mountains and has been drawing visitors to its medicinal hot springs for over two centuries. 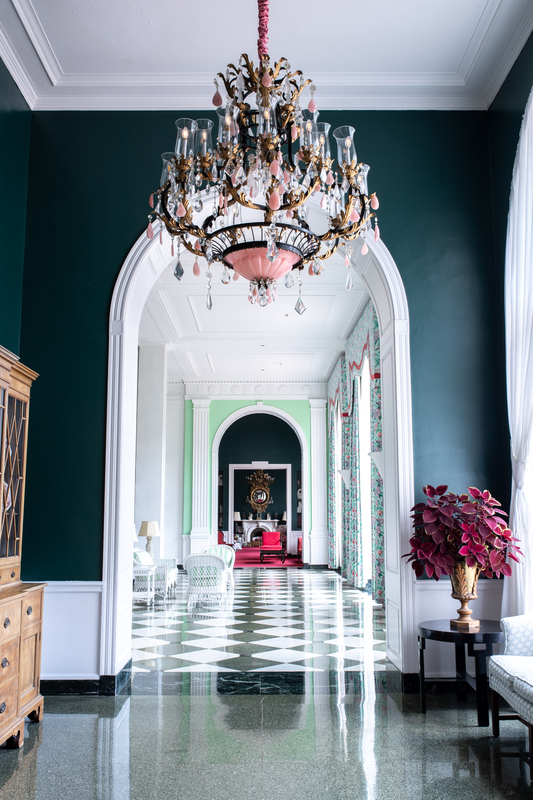 I have a major heart for historic hotels and The Greenbrier has one of the most illustrious pasts of any property in America. 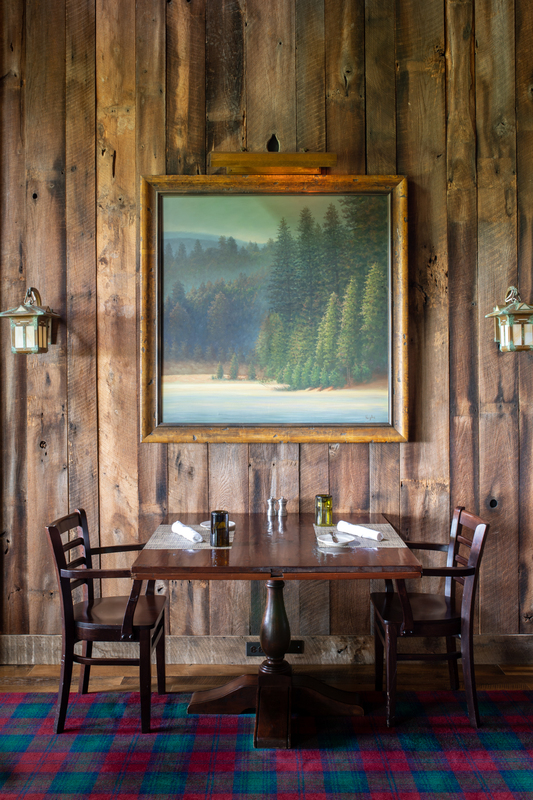 In fact, they have their own historian in residence, Dr. Robert S. Conte, who has dedicated his life to documenting the region’s 200+ year history. 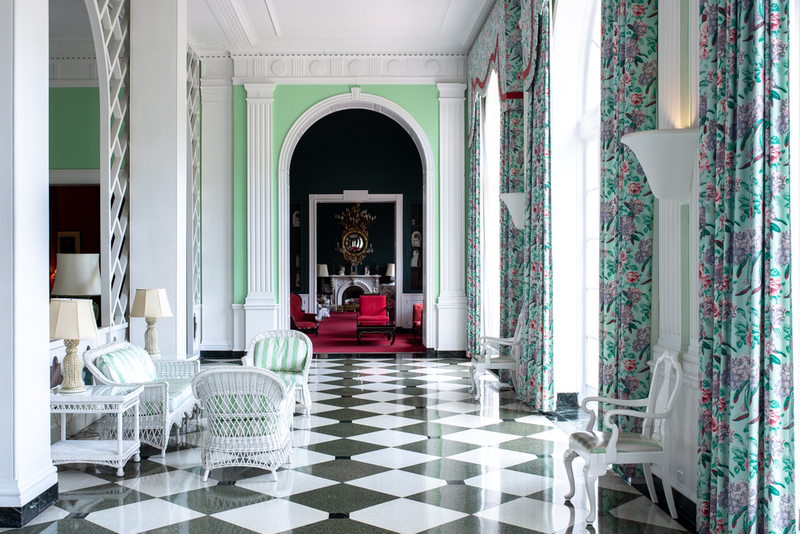 The Greenbrier as we know it was constructed in 1858 and affectionately referred to as “The Old White” for it’s resemblance to the White House and the constant flow of politicians, heads of state, and diplomats through its halls. 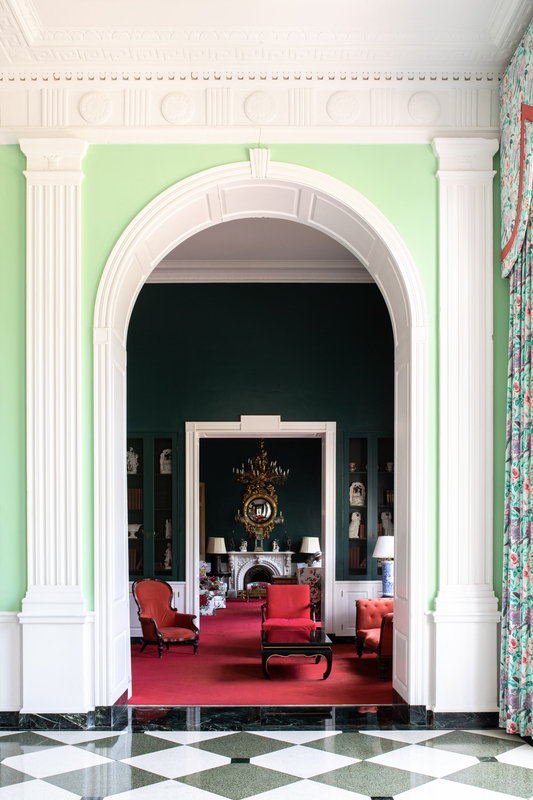 Used as either a hospital and military headquarters during the Civil War and again as a hospital during WWII, The Greenbrier it is best know today as one of the finest examples of the legendary American decorator, Dorothy Draper’s signature style. 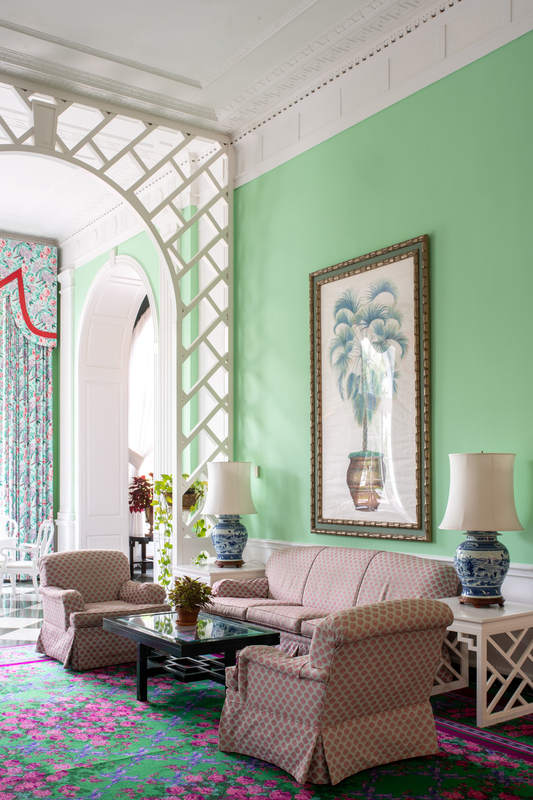 Draper opened her design firm in 1925 and taught America that “decorating is fun” for the better part of the 20th century, transforming the Greenbrier after its use as a hospital during WWII. 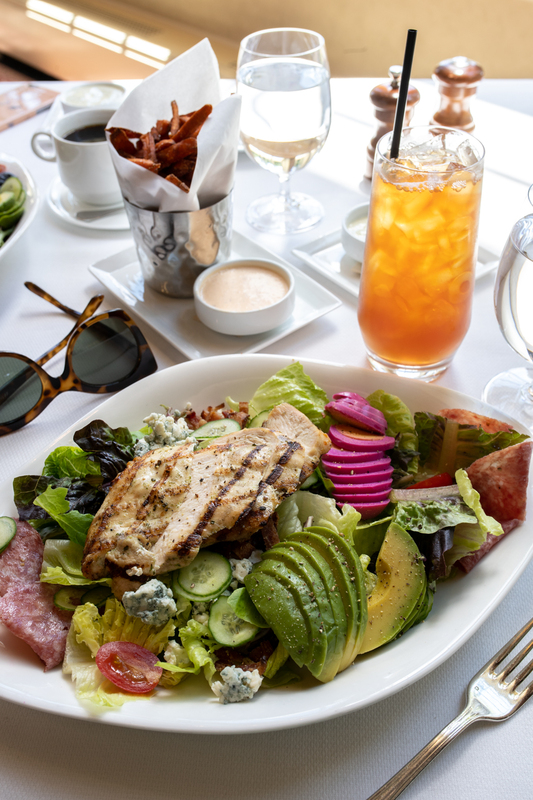 In 1960 she was named as the most influential tastemaker in America. 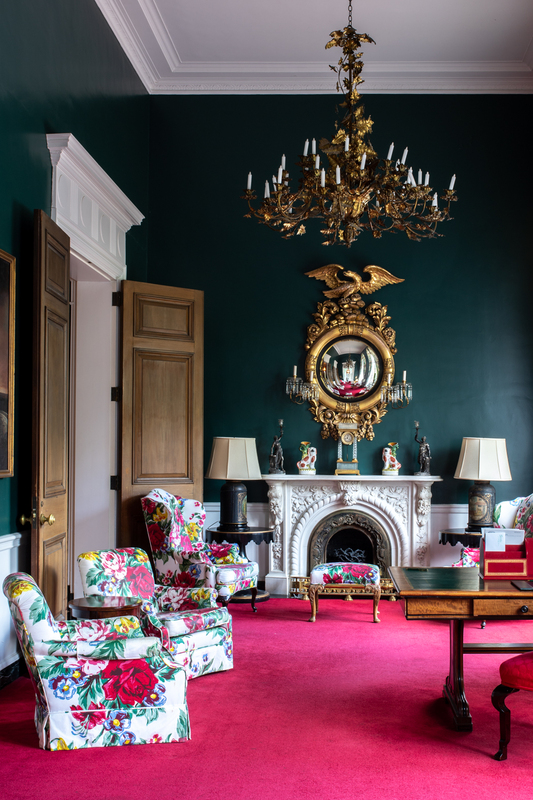 Her love of bold hues and happy, larger-than-life prints are still at the heart of the Greenbrier’s decor. 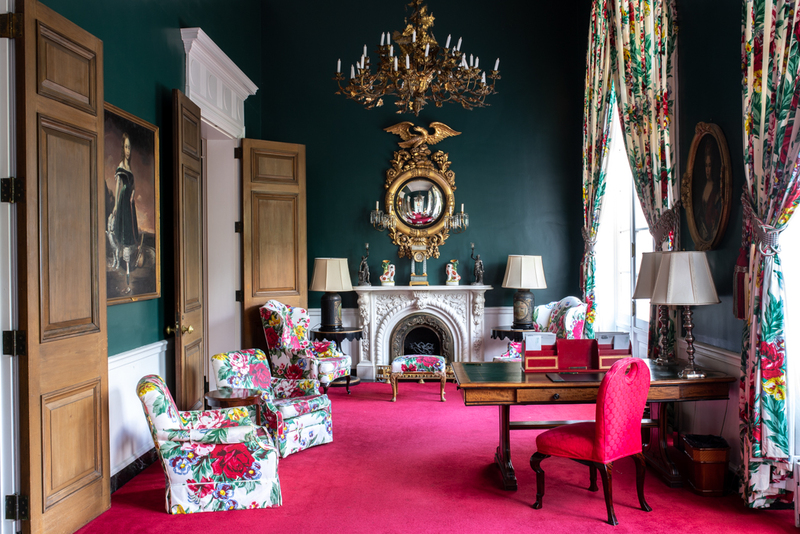 A visit to the Greenbrier allows you to experience a taste of American history and Draper’s singular aesthetic, at this slightly quirky piece of history. 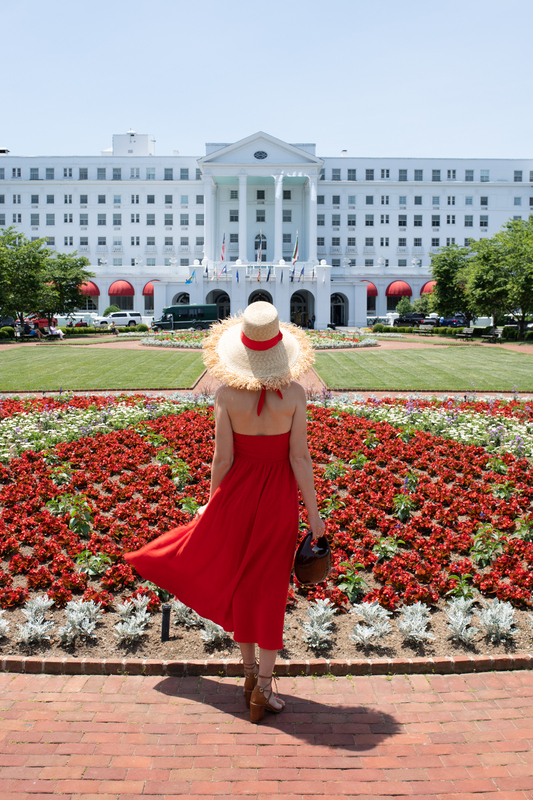 Thanks to the Greenbrier for hosting us! Yes please continue the blog posts! I don’t participate on social media so I love coming here to get updates. 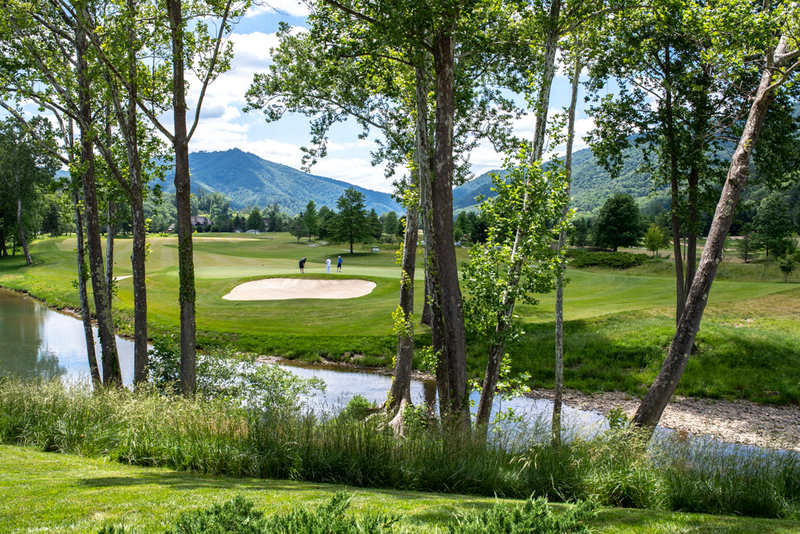 We spent our honeymoon at the Greenbrier (my husband loves golf and I love spas so – Perfect) and this was a treat!